Set your design business up for success. Let us help you be the best design entrepreneur you can be. With the internet and social media, sourcing products and inspiration for interior design projects has never been easier. By following influencers they like, the general public can now easily copycat their homes and create their own versions of perfect Instagram feeds, one closely resembling another. Having this in mind, someone might get scared for the future of the industry, but actually, this is a great news for us. 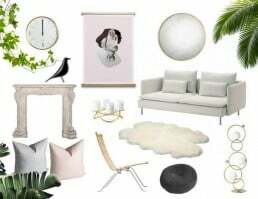 Picture perfect interiors and beautiful decor flat lays have nothing to do with the actual design experience. A nice image speaks about the form and function but doesn’t necessarily mean high quality of life and improved wellbeing of the ones living in such space. When did we stop designing for the experience and focused only on what meets the eye? I’m talking about the mainstream here, so if you don’t recognize yourself in this question you are going to love our today’s topic. However, if you do, you absolutely need to read this! 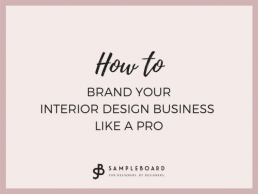 Your work is top-notch, but you are still struggling to score enough interior design clients. To make things even worse, the ones that stick around are often a nightmare to work with. It’s just the way things are when you are working with people, or is it? The cradle of design, Italy always has design candies in its pockets, and today we are sharing one of the sweetest ones with you. 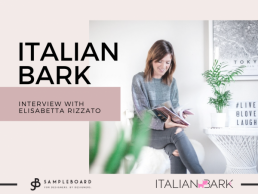 We have a pleasure to welcome Elisabetta Rizzato, Italian architect, interior designer and a person behind the interior design blog ITALIAN BARK here at SampleBoard blog. Elisabetta has been blogging since 2013, and over the years she has built one of the greatest Italian design blogs, written in both Italian and English. She was so kind to share her piece of mind with our community. 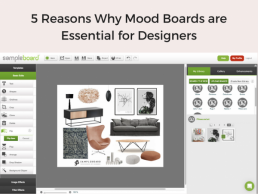 If you have any doubts about the importance of mood boarding for the design business, check out the crucial reasons why every interior designer needs to include mood boards in their design process.